A long trip to Selkirk proved worthwhile for Cumbernauld Colts as they maintained their 100 per cent Lowland League away record with a 5-3 win. The home side, with ex-Scotland international Garry O’Connor leading the line, started brightly as they looked to work the ball into their frontman and work off his holdup play. But while Colts ‘keeper Sam George was asked to field a couple of early efforts from distance there was nothing too troubling. Colts took the lead from a free-kick when Jamie Broadfoot slid the ball to wide man Alex Tilley who delivered to the back post. 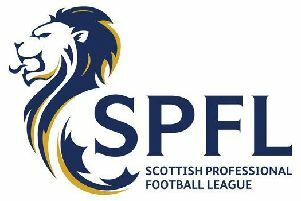 The ball was met by skipper Andrew Ward who powered a header off the crossbar and as the ball bounced into the six-yard area Andy Selkirk was the sharpest to react and turned the ball home. On the one occasion in the first half that the home side managed to get through centrally, George stood tall to dive to his right and turn a shot from eight yards around the post with a fantastic save. Colts’second goal was a similar effort to their first. From another free-kick Broadfoot whipped in a wonderful ball, Selkirk got across his man to power a header off the bar with the ’keeper again beaten and as it bounced high into the air Barclay rose above the home defence to head home. Incredibly it was the same story for the third. Broadfoot delivered, Alan Benton crashed a header off the bar and Selkirk was again quickest to react to stab home his second and give the visitors a 3-0 half-time lead. After the break Selkirk pulled an early goal through O’Connor who held off Richard Kirwan to finish and it was 3-2 after 55 minutes when the attacker dragged a shot from low across goal from the left that snuck in at the post. But Colts duly took heed, lifting their levels and becoming an attacking force again. Tilley, who enjoyed an impressive debut, showed good skill to win a corner from which Broadfoot found Benton beyond the back post. He fired an excellent ball back across goal and Broadfoot, drifting into the box unmarked, gave the ‘keeper no chance with a wonderful volley from, an acute angle. The Cumbernauld side went 5-1 up when Tilley showed lovely skill to move into the box and as the covering defender made his way over he fouled Tilley for the penalty. Selkirk, on a hat-trick, saw his spot-kick tipped onto the bar but was first to react getting up above the incoming defence to head towards the other corner with the keeper stranded. The home left-back dived full length to palm round the post for a second penalty and a red card and this time Michael Oliver stepping up to confidently despatch the second spot kick. With just over 10 minutes remaining Cammy McKay replaced Selkirk, the youngster making his senior debut for the Colts and going on to enjoy a fine start. Confident with the ball the young man worked very hard for his team and should be very pleased with his showing. There was still time remaining for the home side to pull another back, a defensive lapse which led to the home winger running unchallenged beyond the Colts defence and slotting into the corner.